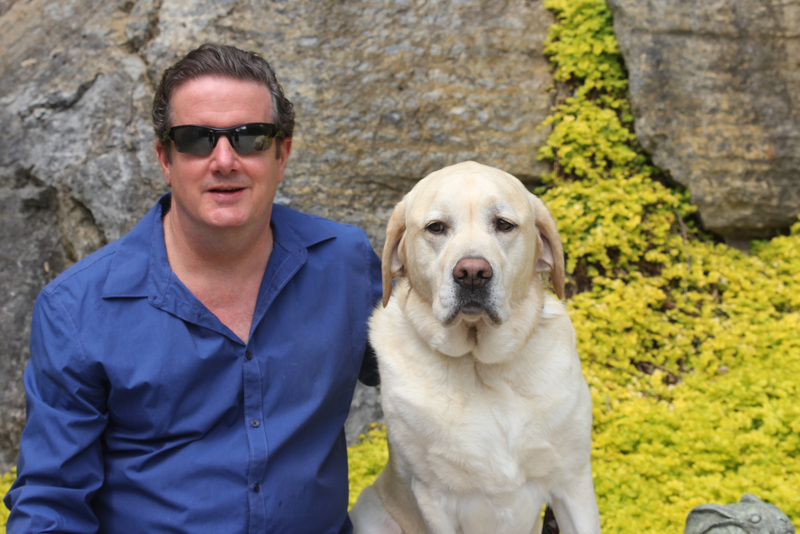 Bob Mayer is the grandfather of two future leaders of the Resistance Against the Machines, a NY Times Bestselling author, graduate of West Point, former Green Beret and the feeder of Cool Gus. He’s had over 75 books published and sold over 5 million, including the #1 series Time Patrol, The Green Berets, Area 51, and Atlantis. Born in the Bronx, having traveled the world, he now lives peacefully with his wife and his overlord lab. You can find him online at bobmayer.com. Shauna Kosoris: You’ve written everything from science fiction to military fiction, suspense to romance. What attracts you to all of these different genres? Bob Mayer: I’ve written about things that interest me. Which isn’t the greatest career plan as a writer—all the advice says find one thing and stick with it. But for me writing is an adventure. There are common themes across the genres though. I like writing about history and the human mind which makes for some interesting combinations. Do you focus on one project at a time or do you switch between them (and is it difficult to switch between genres if you do)? I don’t find it difficult to switch as I believe a novel is a novel. However, I have been honing my ‘voice’ or point of view. My latest manuscript, New York Minute, is different than anything I’ve written before in terms of voice. It’s also more personal and focused on a cast of characters rather than an idea or plot. I only write one book at a time. I find a big difference between writing fiction and nonfiction. My survival and writing books were quite a different experience in writing. Do you have a favourite genre to write? Each one has things I like. In science fiction I’ve been able to really let my mind roam. My Area 51 series has essentially rewritten the entire history of mankind over the course of 11 books—the history remains the same, however the reasons behind the history have changed. I also try to explain things that have not been satisfactorily explained such as Easter Island, the Great Pyramid, etc. 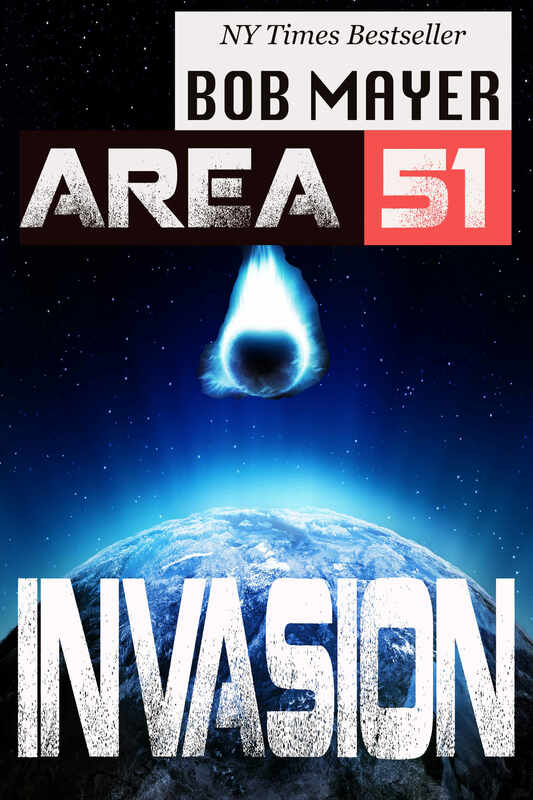 I just added two books to that series this past year: Area 51: Redemption and Area 51: Invasion. I will add Area 51: Interstellar in 2019. My Atlantis series explored parallel worlds. I really enjoy writing the Time Patrol series as each book is essentially six short stories inside each novel as each features six missions to the same day in different years in history. It’s amazing how many significant events happened on the same date—such as the Ides of March. We all know 44 BC and Caesar but it was also the date the Last Tsar formally abdicated; and George Washington stopped a coup among army officers as well as other events. My thrillers tend to be realistic as I use my experience in Special Operations in them. My Green Beret series is still one of my bestselling series over the years. The thrillers allow me to plan and plot like we used to in Special Forces when we planned missions. How do we do this? What can go wrong? What do we do if it goes wrong? Why did you decide to write under the various pen names you’ve used (Joe Dalton, Robert Doherty, Greg Donegan and Bob McGuire)? That was a business decision years ago. Publishers own an option on the next book an author produces. To get out of that option, you use a pen name. All my books are now under my own name as I regained the rights to those books. Wow, I had no idea that was the case. So how do you choose your pen names? I chose some and the publishers chose others. I wanted to use Dante as a pen name but the publisher nixed that for some reason. You’ve co-written some books (notably some standalone novels with Jennifer Crusie and the Burners series with Deb Cavanaugh). How did you end up co-authoring these books? With Jenny Crusie we literally got off the same plane in Maui where we were teaching at the conference. We talked a bit and both wanted to do something different. I think it worked well, particularly Agnes and the Hitman. I learned a lot from Jenny. I’ve applied a lot of that, especially voice, to New York Minute. Deb Cavanaugh is my wife and she is the idea person for a lot of my work. What’s your workflow like with a co-author? With Jenny it went well. She wrote the female point of view character. I wrote the male point of view character. She tended to write at night and I’m a morning person. So it was similar to one person writing around the clock. We did everything via email until it was time to meet face-to-face and hash things out. You formed Who Dares Wins Publishing along with Jen Talty. Why did you decide to start your own publishing imprint and why did you later rebrand it to Cool Gus Publishing? I rebranded Who Dares Wins because the British SAS actually have it trademarked! I didn’t go with our motto in the Green Berets—De Oppresso Liber—because it didn’t seem to fit a publisher. Cool Gus—because he’s cool and lies at my feet when I write. I started my own imprint once I became an indie author. I gradually shut it down to other authors as I felt they could do better on their own and I wanted to focus on my own writing. Now I just do my own books under Cool Gus. The second book in my Will Kane series, Lawyers, Guns and Money, which follows right after New York Minute. I’m very, very excited about these books as they are different than my previous books in that I created an intriguing cast of characters, set them in New York City, my hometown, and dated it in 1977, when the city was very different than now and I experienced growing up. Will Kane is what I would call a ‘real’ Jack Reacher. I love Lee Child’s books but Reacher is a tough character for me as his background parallels mine in real life—he graduated West Point a year after me, was in Lebanon for the barracks bombing while my unit was there training in the hills, etc. So I invented a character with flaws like my own, but also very tough—a West Pointer, Vietnam vet with intriguing combat experience based on real events, martial arts expertise such as I gained when I lived in the Orient etc. Most importantly, though, is he’s human. He has blind spots. He’s experienced tragedy on many levels, including the loss of a child, which my wife and I went through. It was much harder to write than any previous books because it was so personal, but I felt it resonates because of that. I am currently checking to see if I want to go traditional publishing with these books or do them myself. I’d like to finish up with a couple of quick questions about what you read. What book or author inspired you to write? I read so much as a child. I spent a lot of time in the New York Public Library. I loved The Hobbit and Lord of the Rings, of course. A book that really touches me is Lonesome Dove and I aspire to match that at least in terms of character. Reading is so personal. I tell people the routine at my house is to write during the day and then my wife and I and Cool Gus get in the big bed and we watch TV—as story is both our livelihood and our hobby. And my wife has the remote control—always. So I watch whatever she turns the TV to and her tastes are eclectic. So I also read what she suggests. She’s the most widely read person I’ve ever met. I’m finishing up a biography of William Tecumseh Sherman. Both because he’s an intriguing person in history and also for my Duty, Honor, Country series which he is in. (PS, first book in that series, Duty, is free on all eBook platforms.) I plan on reading Kate Atkinson’s latest title when done with that.